Who ever said a winter landscape has to be drab and boring? There are many exciting flowers bursting into bloom and wondering why they are not in your garden. If it were not for the 40°F temperatures and cold rain with a winter garden in bloom, you could believe yourself to be in paradise. 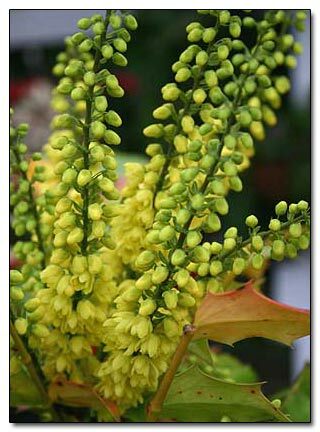 Just envision that tall mahonia outside your breakfast nook window, while you sip your hot tea. There you have it! You're already dreaming your way to paradise. Helleborus foetidus 'Wester Flisk' makes quite a show in the winter garden. It starts in November and continues opening its buds during winter and has its final say around March.This is a reliable bloomer, here in our maritime climate, throughout the winter months. 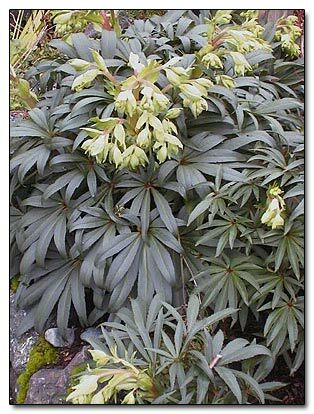 Helleborus argutifolius lies quietly in wait during the growing season. When winter arrives the Corsican hellebores begin to bloom in an almost subtle way, as any classic beauty would. Along with the flowers, its attractive foliage adds polish to the winter garden. What better way to brighten up a rainy winter garden then with the cheery yellow flowers of the shrub, Jasminum nudiflorum. 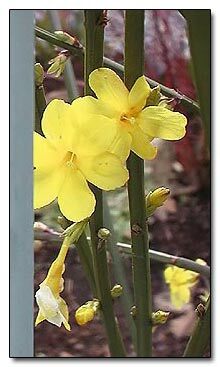 This winter jasmine has no scent, but it packs a wallop with its bright color. This one also starts blooming in November, and as some flowers fade, others open and continue until early spring. 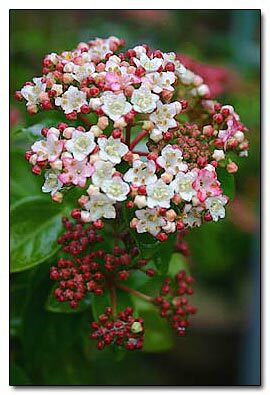 Viburnum tinus 'Spring Bouquet' flowers open early some years. Even when the buds are not open, they are colorful in their rosy-red charm. 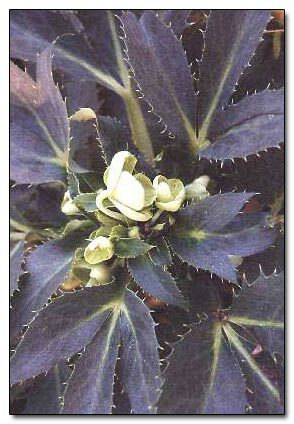 The evergreen leaves are also a plus for the winter garden, as they serve as a dark background for the flower and buds. 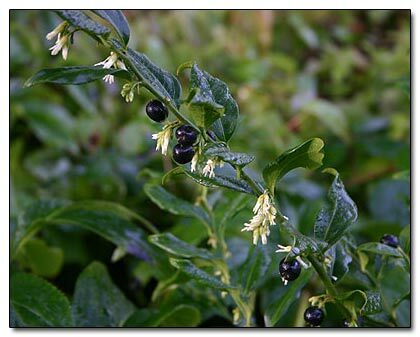 Sarcococca confusa flowers may tend to hide from your eyes but you can find it with your nose as it emits a delightfully sweet fragrance. Mahonia 'Charity's plumes of flowers are not going to be missed when they brighten the winter landscape.